Resists punctures and tears. Quiet release. 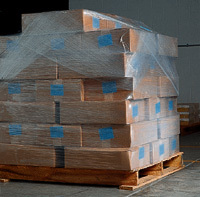 Superior cling, high-performance stretch wrap stabilizes loads and deters tampering and theft. 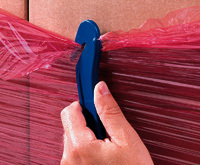 Recycled stretch wrap blends high-strength virgin resin and no less than 20% recycled resin. Rolls have 3" cores that fit our Handwrapper (Item Number 10-05), Handi-Holders™ (Item Number 10-08) or handheld dispenser with brake (Item Number 10-20-02).